Generally speaking, having dental implant procedure is not an inexpensive undertaking. The cost, however, is well worth the lifelike and secure outcome. 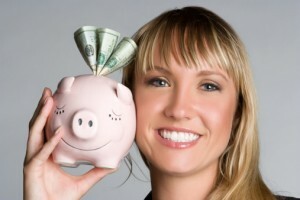 Even so, there can be a range of costs for Houston dental implants. Of course, you want to be sure that your money is well spent and you don’t need additional treatment after your dental implants are in place. For this reason, you would do well to select Oral Surgeon, Dr. Steve Koo at Piney Point Oral and Maxillofacial Surgery in Houston, TX, turns to for professional and long-lasting results that make your investment worthwhile. When searching for a Houston oral surgeon, it’s important to focus on dental implant quality over the projected cost of oral surgery in order to reduce the risk of complications. While it’s natural to be concerned about the cost of your dental implant procedure, Dr. Koo is the oral surgeon Houston considers to be a most qualified specialist. With an education and training in both dentistry and oral surgery, Dr. Koo is well qualified to place dental implants Houston patients will enjoy for years to come. Dr. Koo has had patients who have needed to come to him for repair of dental implants that were not done well. Thus, they’ve needed additional surgeries to correct a problem. For most of these cases, coming to Dr. Koo in the first place would have been more economical, to say nothing of the quality of the dental implants. Ultimately then, cost is certainly a factor, but the more important consideration is the qualifications and track record of the professional you are considering to perform your Houston dental implants. If you would like to learn more about dental implants—the advantages and the costs—call the office of Piney Point Oral and Maxillofacial Surgery at (713) 783-5560. Dr. Koo is the oral surgeon Houston, TX, trusts to perform dental implants that are well priced for high quality. Our Houston oral surgery office also serves patients from Stafford, Meyerland, Bellaire, Lamar Terrace, Galleria, Briargrove, Rice Military, Heights, Bunker Hill Village, Hunters Creek Village, Hedwig Village, and Katy, TX.